Padsicles are the best thing ever. 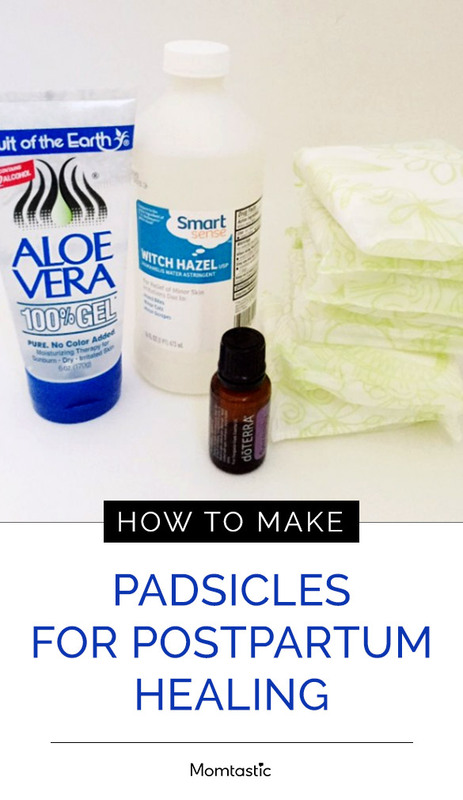 I mean, no one really talks about how to take care of your lady parts after you deliver a baby, but you need to know about the healing powers of padsicles. You can totally make padsicles at home, with just a few ingredients (and you store them in the freezer, which helps numb soreness!). So if you’re having a baby I highly recommend making a big batch of padsicles, or pin for your future baby plans if you’re not yet pregnant. 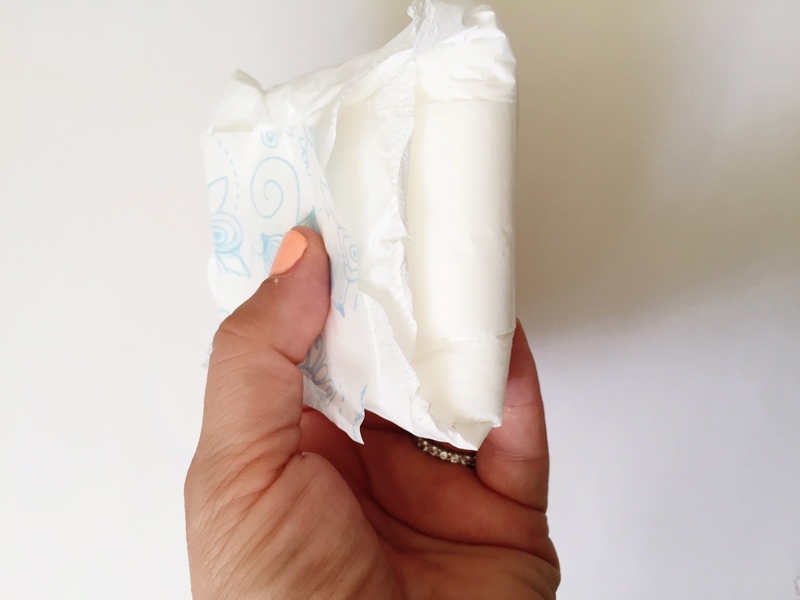 Partially unwrap the number of pads you want to make, being sure to leave the wrapper attached. 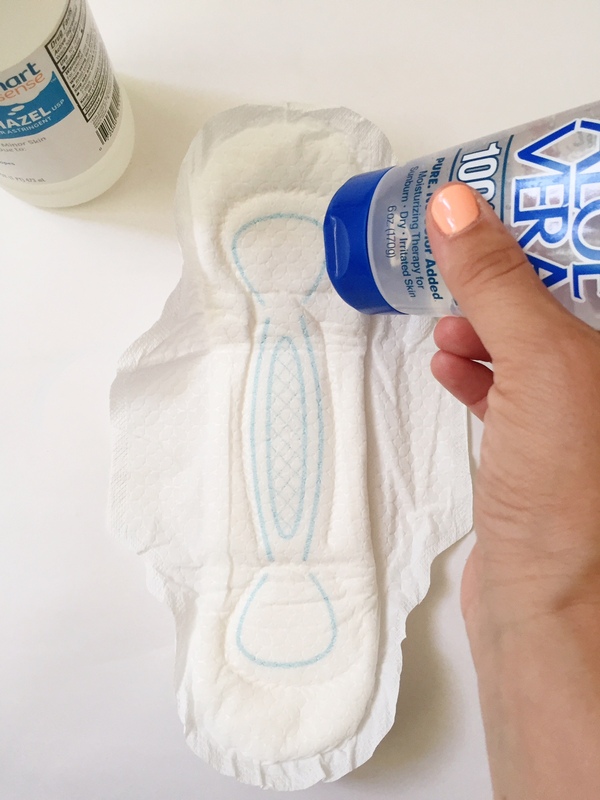 If using pads with wings, remove the paper that holds wings in place but save to reattach after you apply the ingredients. 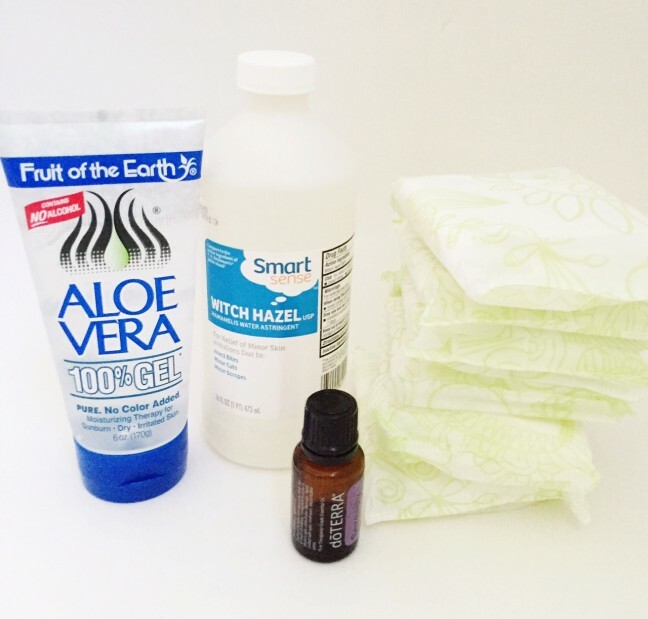 Squeeze aloe vera gel generously up and down the pad, covering the entire length of the pad. 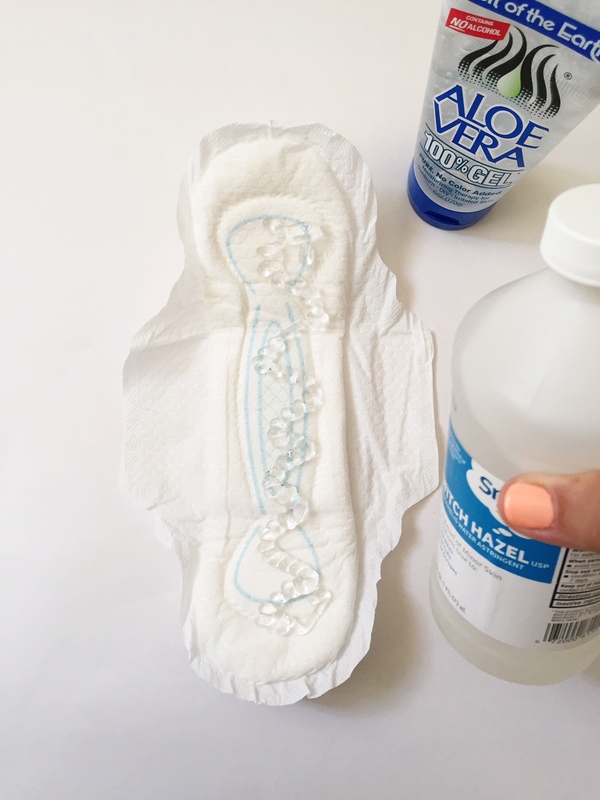 Pour 1 tsp of witch hazel down the center of the pad. Don’t pour directly from the bottle, as it tends to come out fast. Instead measure into a measuring spoon or use a medicine syringe. Add a few drops of lavender oil up the center of the pad. Rewrap the pad (and place paper back on refolded wings if using pads with wings). Fill a gallon sized freezer bag with prepped pads and put in the freezer. 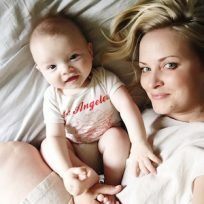 Remove one by one as needed for postpartum healing. Viola! Padsicles to help you heal after giving birth.